Liu Sha Bao is one of my daughter's favorite dim sum, so i try my hand to make it at home. Liu Sha Bao is a one of the popular bao in dim sum restaurant. 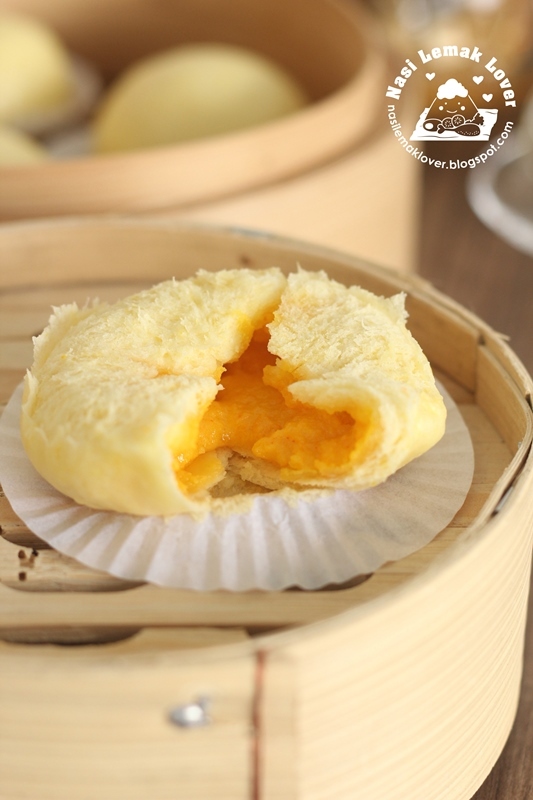 For a good Liu Sha Bao, the salted egg yolk custard must flowing out like lava when you first bite it. Anyway, my first Liu Sha Bao's didn't achieve the flowing out filling, but the custard filling tasted was so yummy, exactly like that one served in dim sum restaurant. Even i couldn't achieve like the real Liu Sha Bao, i still sharing this recipe here, as i know some of you might not like the flowing lava filling ,feel it a bit messy when eating it , then you can try this recipe.